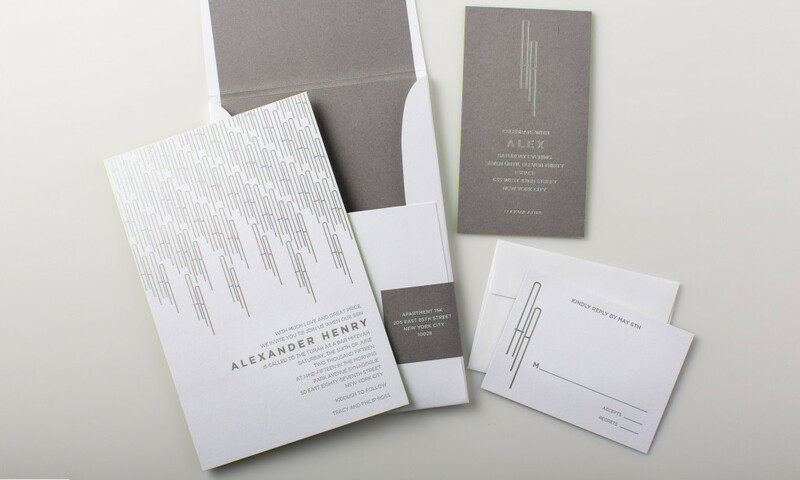 This set features an ultra-modern monogram repeated to create a pattern in silver foil stamping with letterpress printed text. 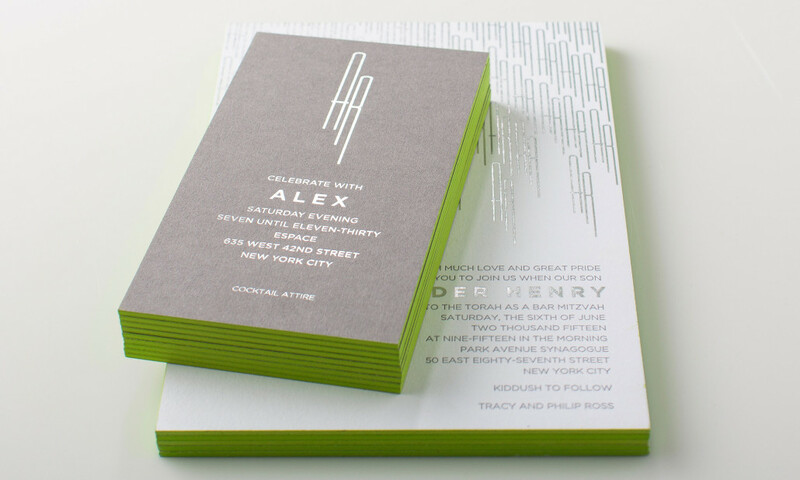 Thick, bright white and grey papers are edged in lime green ink for a shot of color. All colors, typography and papers can be changed to fit your style.